I have extensive training in Cognitive Behavior Therapy (CBT) to help individuals identify and modify irrational thoughts and thinking patterns to improve their overall mental health and enhance personal growth. Through personal and professional experiences, I have learned that much of our daily anguish is fabricated by our mind and influenced by our perceptions. As Buddha perfectly puts it, “We are shaped by our thoughts; we become what we think. When the mind is pure, joy follows like a shadow that never leaves.” Through techniques of mindfulness and increased self-awareness, we gain control of our mind and ultimately achieve contentment. More often, I find myself playing the role of a guide or mentor to my clients. I believe that my clients know themselves the best and are also aware of what their destination from point A to point B. However, the road there is not always clear or straight. Through counseling, I’m able to provide my clients with clarity, alternative “roads” and methods of resolving the issue at hand. Most importantly, I believe in empowering clients, so they are more apt to navigating their way through this journey of life. As a counselor, I believe we play a crucial part in our clients’ lives in terms of providing therapeutic support and exemplifying healthy mental health habits. I strongly emphasize self-care in my sessions, because we can only help others if we can help ourselves. For that reason, I feel that it is important to practice what I preach to be credible and to effectively help my clients. Oftentimes, people are leery of seeking mental health services due to the stigma created by the society we live in. Having worked in this field for 7 years, I learned and believe that it takes more courage to ask for help. I wished individuals heeded to their mental health needs as much as they do to their physical needs. Counseling becomes a platform where you gain a new purpose in life, increase self-acceptance, learn to manage stress better, improve interpersonal relationships, and more. Much of our life is shaped by the quality of our thoughts and attitude towards life. Thus, you cannot expect positive outcomes with a negative mind. The most influential people in my life are my parents who have taught me how to live my life to the fullest and walk on the path of righteousness no matter what storms come along the way. Besides my parents, life has been the greatest teacher. Life gives us two choices: 1) change what we cannot accept 2) accept what we cannot change. Through it all, change is the only constant! 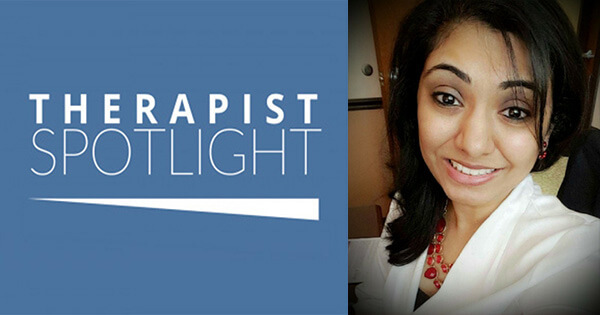 Puja Shroff is located at our Great Lakes Psychology Group – Dearborn office. To learn more about Puja, please visit her therapist profile below.